All four satellite transmitters on Little Curlews which were sending out regular signals until mid-May have now stopped transmitting. 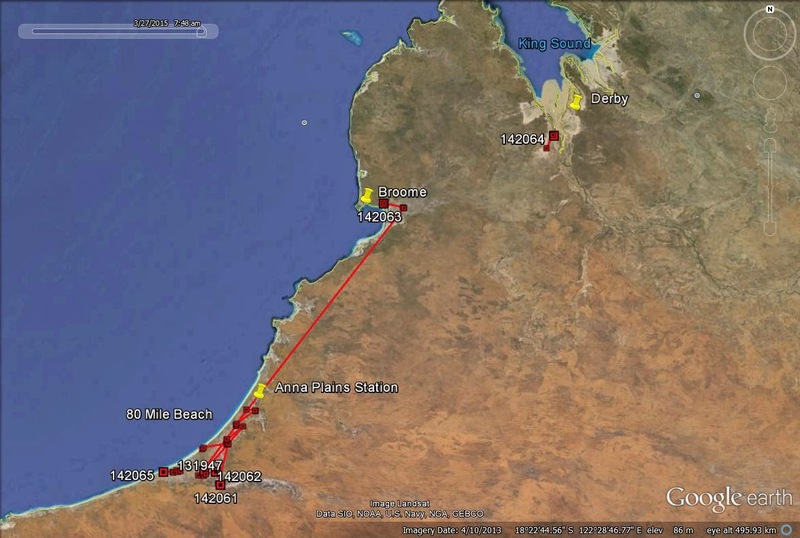 From elation just a few weeks ago when five birds carrying transmitters set off from north-west Australia we are now extremely disappointed that everything seems to have come to a complete halt. Little Curlews Numenius minutus; Broome, Western Australia. Photo: Ric Else. We were hoping (against hope) that some of the transmitters might start up again if part of the problem has been overcast weather conditions the birds have encountered in China, thereby causing a lack of solar recharging of the batteries. But it is now six weeks since the last transmission and I fear that we really have to accept that we are not going to obtain any further information from these transmitters. At the moment we really have no clue to the cause/s of this sudden demise of the units. Are there possibly technical difficulties in this batch of units, which have resulted in unusually short transmission lives (meant to be 1 + years)? Evidence from other users of the same MTI product (Reece Pedler and in Alaska) has not revealed any significant problems with performance or longevity of these satellite transmitters so far. It seems hard to believe that all birds have, almost simultaneously, been predated by animals or captured by hunters. Perhaps the most likely cause is that the birds have shed their transmitter harnesses. It may be significant that the timing of most losses coincided with periods of migration when significant distances were being traversed. It is just possible that the loss of accumulated fat used up in these journeys allowed the harnesses to become too loose. We are continuing to seek comparable satellite transmitter information from other researchers around the world, particularly those who have used satellite transmitters on shorebirds, to help us work out what may have gone wrong. Whilst the disappointment of the failures is at the forefront of our minds, we should recognise that we have still learned a great deal about Little Curlew behaviour from these satellite transmitters over the last three months. This includes new knowledge about: local, non-breeding, movements in Australia; migratory departure locations in Australia; and northward migration routes and stop over sites. 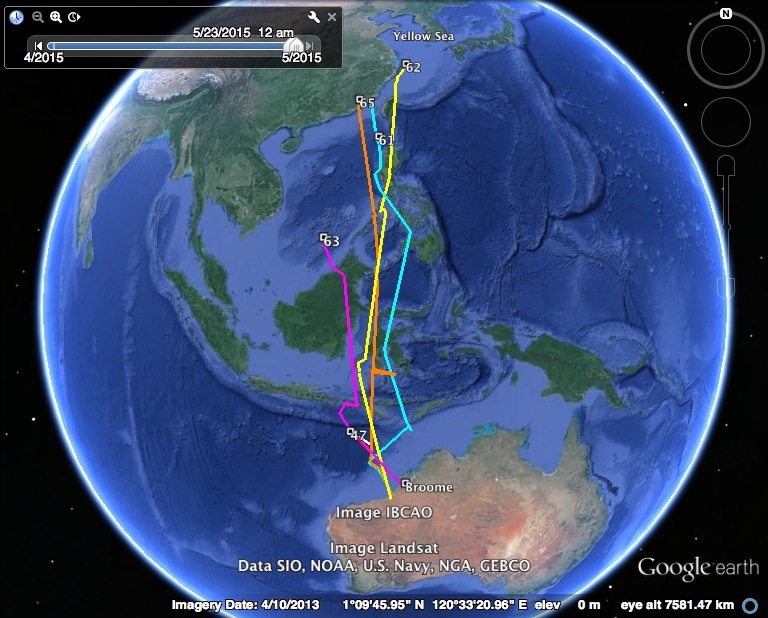 All five birds, which had transmitters put on at Anna Plains and 80 Mile Beach in mid-February continued to roam around the grasslands of Anna Plains station until the end of March. With them was the sole remaining Little Curlew with a satellite transmitter from the Roebuck Plains, Broome, November 2013 deployment. This bird moved back and forth between Roebuck Plains and Anna Plains before setting off again on this year’s northward migration (from Roebuck Plains). One of the Anna Plains/80 Mile Beach birds, from the 2015 deployment, also moved to Roebuck Plains before northward migration. Another one spent several weeks in the Fitzroy River estuary near Derby before its transmitter stopped around the time the first two Little Curlew left on migration from Anna Plains/80 Mile Beach. We therefore have strong evidence that Little Curlew depart on northward migration from a variety of locations in North West Australia. All birds confirmed the migration strategy, which first became apparent during the 2014 northward migration. Most birds stopped in the Indonesian region (1000-2000 km) for between 1-2 weeks. Most then moved on to some part of the Philippines for another short stop-over. 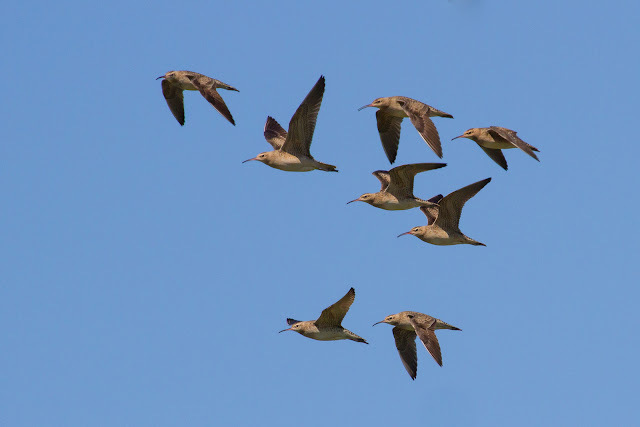 The Chinese coast was the next destination and it was at this stage where most of the transmissions from the Little Curlew units ceased – we had fixes from two birds, which had reached the coast. This project has shown that Little Curlew seem to be different to most other wader species leaving NWA on northward migration. Most other species put on large quantities of fat (up to 100% addition to their fat-free weight) and many complete their journey (5000-6000 kilometres) to the Chinese coast (including the Yellow Sea) in a non-stop flight. Little Curlew on the other hand seem to put on much less weight (40-60%) before departure and make several stops on the journey before reaching China. Late departure and several stop overs prior to reaching China also correlates well with (maybe a consequence of?) Little Curlew not completing their wing-moult until early March, whereas most other waders complete it in January or early in February. Energy resources are not normally devoted to weight accumulation until the main moult of the primary feathers is complete. 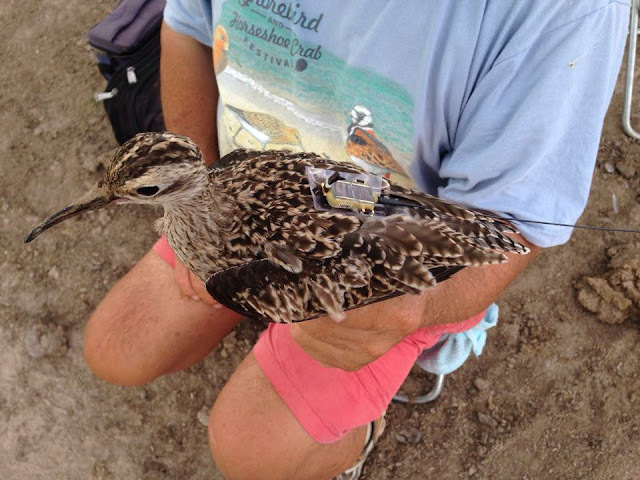 At this stage, it appears likely that there will be no further blogs this year concerning the movements of Little Curlew carrying satellite transmitters. We will be carrying out a thorough investigation to try to be sure that the performance of satellite transmitters we deploy in the future is much improved. This will include exploring different harness design options. Meanwhile thanks for everyone’s interest and support. I've been thinking about this situation and one possibility may be related to Chinese restrictions in satellite law transmissions. Depending on the satellite used, it may not be registered in the China therefore not being allowed to capture any signal there. I'm working with GSM (OK, is not satellite but uses the same thinking for laws) in Brazil and had to ask for special permits so my devices could work in their territory. An interesting thought but it would mean that things will have changed since the last northerly migration where all the birds transmitters were picked up as they crossed China. A change in Chinese policy though is not beyond the realms of possibility. thanks for sharing this thought Bianca.